The City of Beaverton hosts its annual Freedom Festival downtown on Wednesday. Scores of people donned red, white and blue on Wednesday morning for the annual Beaverton Freedom Festival. 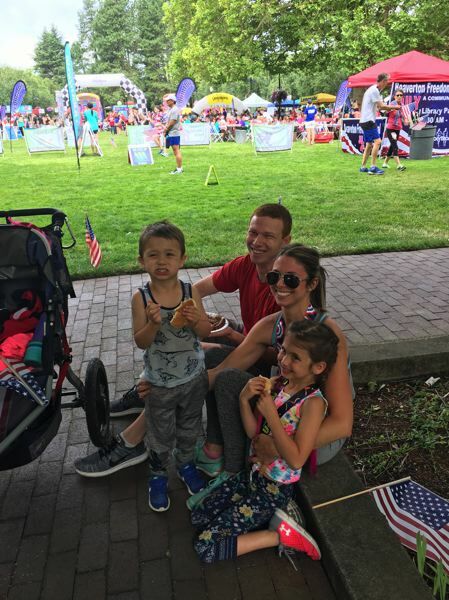 The event, held in and around the Beaverton Public Library, including pancakes and pie, fun runs and fancy hats, bouncy houses and blues. The Diamond family — Aaron and Jessica, plus Nolan, 3, and Penelope, 6 — sat just outside the library as the sun fought to free itself from the overcast. "This is our first time," Jessica Diamond said. "We live just right down the street. We kept meaning to come do this. And the kids are sure enjoying the pancakes." When asked for a favorite event, Penelope spoke around a mouthful of pancake: "Bouncy house." 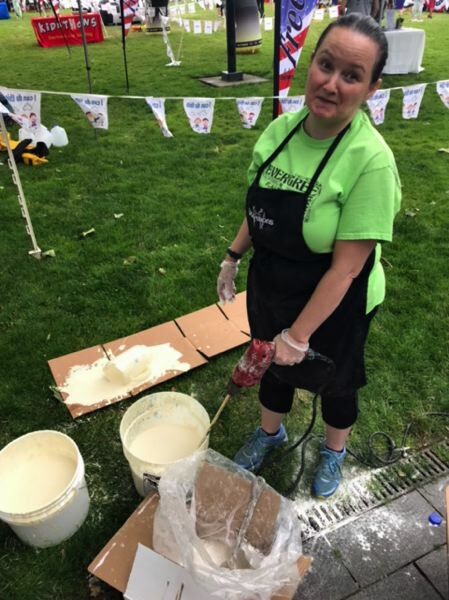 Several yards away, Julie Barry, member of the Evergreen Color Guard Orchestra, was using an industrial-strength plaster mixer to blend up the pancake batter. "I don't know anyone else who's using this!" she laughed. Marlene Sivyer, 61, and Rollie Sivyer, 64, of Portland came for the 3.1-mile marathon. Both of them won their age group. "We just use this to get our workout; wake up and get going," Marlene said. "I'm working up to my 2,000th mile," Rollie added. "It's probably going to take me about two more years." Mayor Denny Doyle walked through the crowd, laughing with residents. 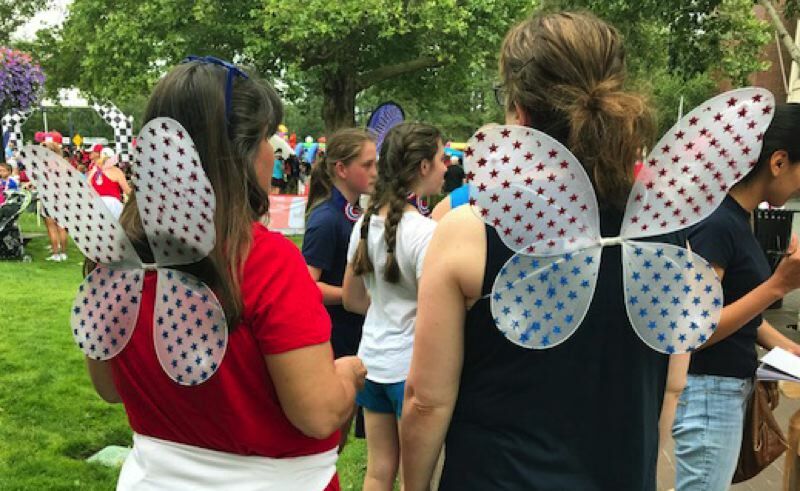 Kris Gustafson and Lori Ohanesian wore gossamer wings taped to their backs for their fun run. 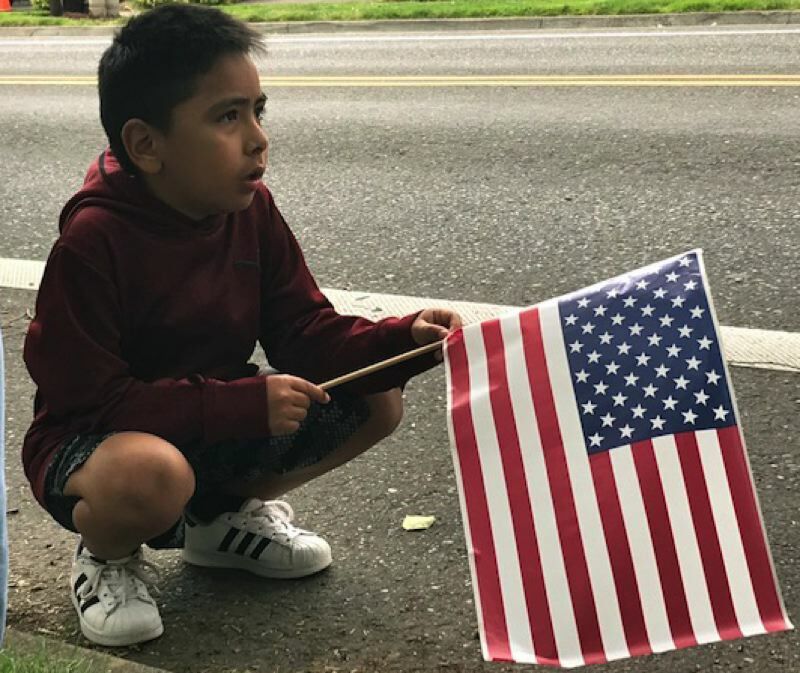 Alex Caracheo, 6, sporting an American flag, waited for his uncle to finish his race, in order to run with Juan next. This is their third year running at this event. 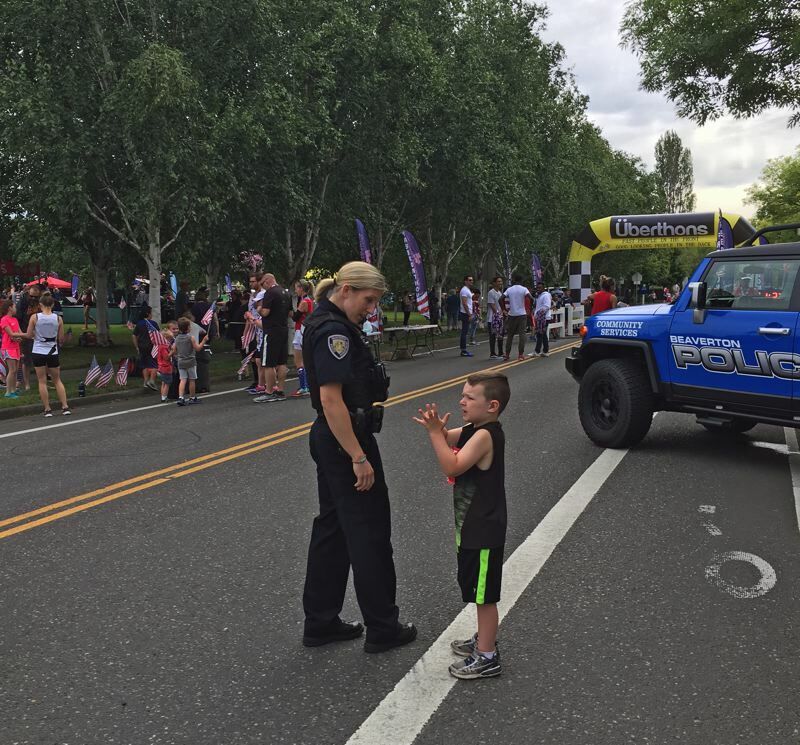 At one corner, Community Resource Officer Daneshia Barkley of the Beaverton Police Department answered a dozen questions for a curious 5-year-old Judah Hummel, explaining every item on her utility belt. He asked to see her gun. "Ahhhh, no," she said.